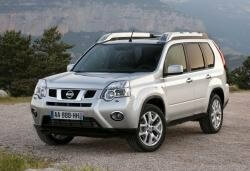 Correct Wheel Sizes, PCD, Offset, Rims and Tire specs for Nissan X-Trail series. Would this make for a softer ride on gravel with tyres slightly inflated rather than the 18inch tyres I now have on the 2012 x trail? I would like to ask about the possibility of increasing and Xtrail 2011 tire size to more than 205/60/16 without changing the 16inch rims . what would be the options ? 225 or more ? 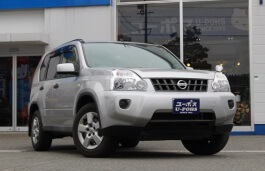 Can I fit 235/60V18 to my 2013 x-trail. I currently have 225/55R18 fitted, but I like the look of the Wranger HP All Weather. Any advise? Thanks. Hi,Richard,235/60/R18 can't fit for your car. Are they too wide or to high? Hi,Richard,your current tire diameter is 704.7mm,But for 235/60/R18,the tire diameter will be 739.2mm,which beyond the common error.Try 205/60/18. I have an 05 Xtrail. . Can I use 235/ 60/ 17 tires on it? What tire specs best suited that i can fit on a rim 17 x 7? Hi,Marlon Sarita,215/65R17,this is OEM tire size. 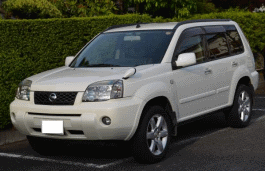 Replacement wheel for Nissan X-TrailTSdci, 2010 model. I need a replacement wheel for my XTrail TSdci, 2010 model. Hi,junior griffith,The stock rims size for T30 is 16''*6.5,I think 20'' is too big.You can try 19‘’ rims for the same bolt pattern and offset as above.The tires you can try 185/60/19. would that work perfect with the same 185/60/19 tires?? Hi, junior griffith,if you put 19*8.5/19*9.5,the tires you can try 235/45/19.you should not use 185/60/19,the tire width is unfitatble. Also should I change my struts, or continue using the same? Will 235/65r17 mud tyres fit my xtrail ok? Hi，Ben Ruddock,The stock tire size for your car is 215/60/17,According to the tire calculator,235/65/17 can't fit for. Can I fit this muddies - 215/75/16" to my ex 2.5l 2006? 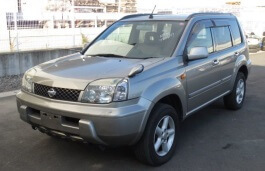 I recently bought a preowned nt30 xtrail 2004 model. whenever the vehicle is parked at an angle other than a flat surface and it rains water drips along the front edge of the sunroof liner onto the centre of the driver's seat (rhd), this is at a 5degree angle. at 30 degree angle in rain water pours from the rear view mirror finisher of the hood liner onto the radio unit and all the electronic controls for a/c etc. the previous owner admitted a slight leak and said she had paid the Nissan dealership to have the problem fixed, she never knew it was so bad as she always parked on a flat surface. I have to find the source of the leak but cant make any headway until I remove the entire hood liner which seems to be a lengthy task. can u offer any ideas? 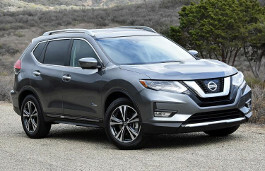 Is it possible to change my 2016 nissan xtrail 17" wheels to 19"? 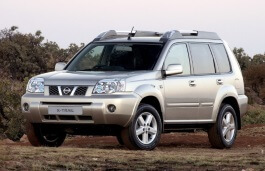 I want to put all terrain tyres for my X Trail 2006 model. Do you think it will look good?all terrain tyres are atleast 17 inches rim. Currently I have 15 inches rims. I have seen from above posts that 17 or even 18 inches rims are possible, but my concern is will it look good? I was trying to looks for some picture but couldnt find online. 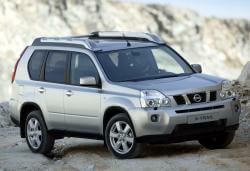 Hi, I have got a Nissan X-Trail III 2014 currently on 225/65/17 tires. I just bought 19 Tekna wheels. My question is how wide and how high profile tires I can fit on the stock Tekna 19 wheels? Hi John, can I fir 235/50/19 on the stock 19 wheels? Thanks. Hi,Tyler,What your current tire size? 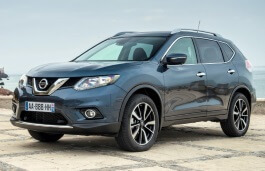 I have a 2015 X trail Tekna on 19"
I would like to put some 17" steel wheels, but struggling to find compatible sizes. Hi, Brian Lazzari,You can try 7Jx17 ET45,PCD 5x114.3.This is stock 17'' wheels size. Hi,Andy Gunther,Yes,you can use it.